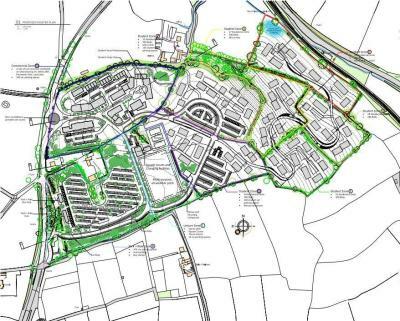 Outline application for proposed development of a student village, new highways access, landscaping and associated infrastructure. 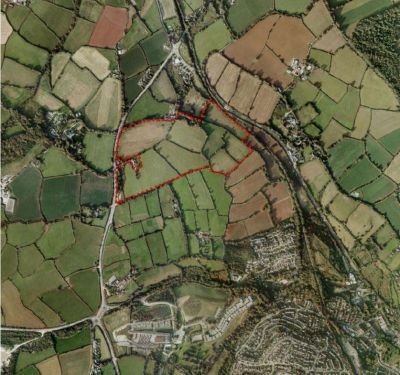 Land To East Of A39, Between A39 And Railway Line, North Of Penryn, Penryn. 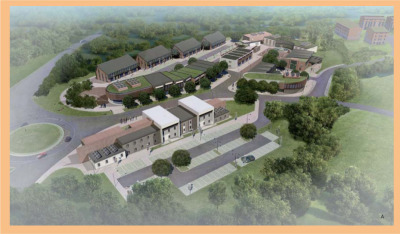 This application has been approved by the Stragetic Planning Comittee on Thursday 15th February. This application was considered by the Strategic Planning Commitee on Thursday 21st December, 2017. A decision has been deferred until the next meeting on Thursday 15th February, 2018.
along with an invitation to Falmouth University to comment on the application. (A closed meeting was held on Thursday 18th January with members of the Strategic Planning Commitee). The Case Officer Peter Bainbridge recommended refusal, one reason being related to highways and traffic. It was suggested that the developer take a look at this and see if any alternatives be made to overcome the issues. You must ideally post your comments to those on the Strategic Planning Commitee and their substitutes in good time before Thursday 15th February. The councillors who represent us, need to make an informed decision, they may not know of the concerns of those who live in Falmouth and the surrounding areas. Who really knows exactly how many students are studying in Falmouth and Penryn? Who is going to provide the bedspaces for the extra 2500 students that have been allowed by the council to attend Falmouth University? Can we afford to lose more family homes, or industrial units to student accommodation? Do we want more large scale purpose built student accommodation blocks dotted around Penryn and Falmouth? ​Is this the best solution? There are mixed opinions on this development, even Falmouth Town Council has changed it's views towards this Student Village. (See below). This is a large development and your opinion is important. At this stage it would be really useful to give your views to the Stategic Planning Commitee before their next meeting on 15th February. Your council can only support you if they know your views. Tue 21 Nov 2017, Falmouth Town Council Planning Meeting. No Objection as there is a great need for purpose built student accommodation and the Council feels this site is sufficiently well located to serve the Penryn campus and would reduce the pressure of development within the built up area of Falmouth. Wed 22 Feb 2017, Falmouth Town Council Planning Meeting. Refuse due to flood risks, loss of view from the highway, the agricultural land is high grade and should be kept for food production as directed by the emerging Cornwall Local Plan and the application is not necessary and need should be reviewed after the Tremough campus extension development for 1100 beds had been provided. "My view as a town councillor has changed because of the decision on Ocean Bowl. I just do not believe Falmouth can give up any more land to build blocks of student accommodation. "If they have to build some, I know it should be on campus, but if they are not going to build it on campus I would rather they build it out of Falmouth. As soon as they got their raised numbers, they said they were not going to build anything on campus." He added: "We are talking about 2,500 (extra) students going somewhere. I would rather they were in one place than take over ten Ocean Bowls in Falmouth - that is what we are talking about - ten times Ocean Bowl."